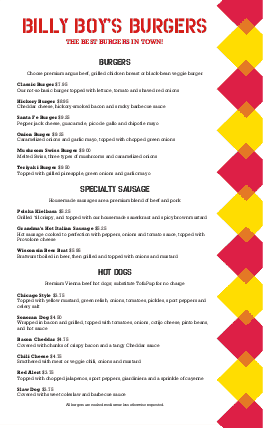 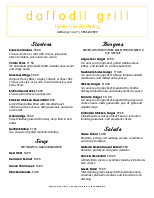 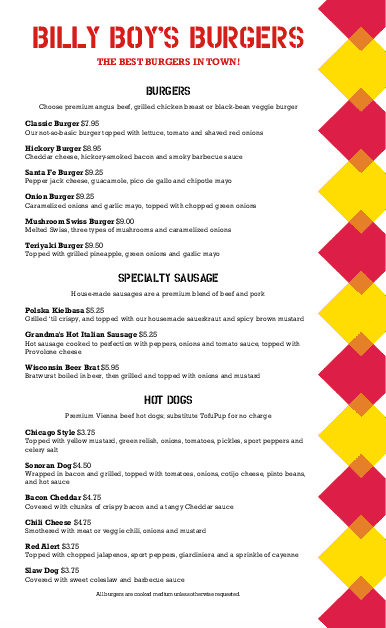 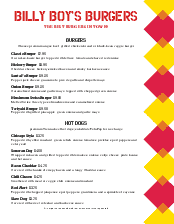 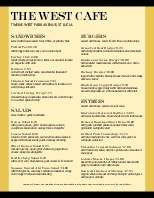 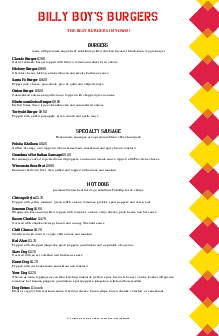 A long Hamburger Menu in legal size (8.5 x 14") for a casual family restaurant. 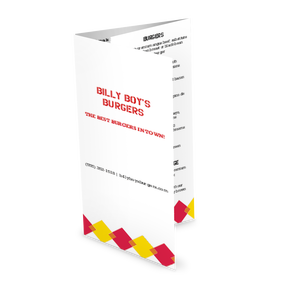 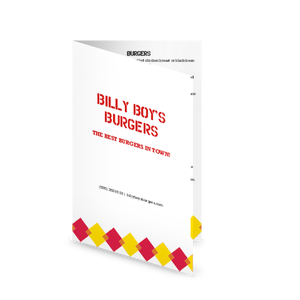 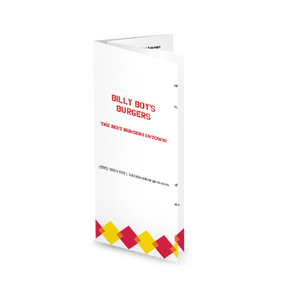 A stripe of red and yellow diamonds borders the page, and three sections of burgers or bbq are boxed in playful yellow frames. 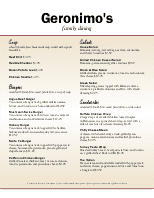 The restaurant name and menu items can be customized in the Menu Editor.